Thought we’d post a little update about what’s new at Cecil and Lynn for the Christmas season and beyond! This year we are also experimenting with small batch runs of our ornaments (making only 5-10 ornaments in one style). Once they are gone, they are gone! 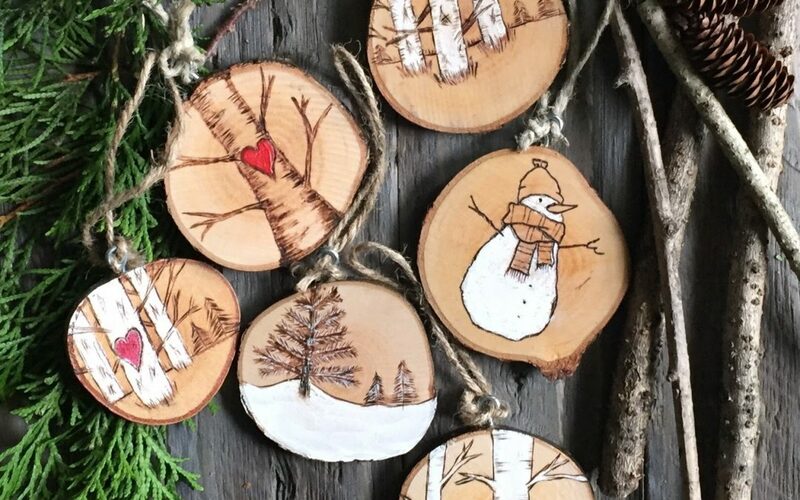 Make sure you keep up with us on Instagram and Facebook so you can see when we post these ornaments and make sure that you’re able to quickly order it before it sells out! We are taking a quick break from custom orders to do a little restructuring in the way we make our frames and the sizes we offer. We are hoping to solidify our new designs so that there are as many options available without spinning our heads around in circles. We have some great ideas and we can’t wait to see what you think of our new frame styles. While it’s killing us to do this, the busy Christmas season is already upon us in the handmade world. You all know that we absolutely love custom orders, but we are only two people and we can only do what we can do. So, from October 1 – December 31, 2017 we will not be accepting any custom orders. We know this is disappointing for a lot of our customers to hear, and for that we are so, so sorry 🙁 We hope to work on lots personalized keepsakes in 2018, so please contact us then if you are still interested. We hope you will be! We’ve decided this year to only list what we have available rather than making each order as it comes in. We hope that this will make things easier for us and get your Christmas gifts to you faster this year. Last year we had some really tight deadlines and we decided not to do that again. We take pride in our work and prefer not to rush through making your orders. We can’t do that with 15 orders in the queue and people needing them in a week’s time. That’s why we aren’t going to do it this year. If you have any questions or concerns about delivery, please contact us directly.